For the launch of the last season of wildly popular Canal+ series Versailles, who would be a better person to promote the series than the Sun King himself? BETC Paris decided to bring France’s most famous king, Louis XIV, back to life by recreating his voice more than 300 years after his death. In order to do so a group of historians and scientists worked for months on end, compiling data about the king. Thankfully Louis XIV was heavily monitored throughout his life and every little detail about him was written down in his medical journal. This contained descriptions of everything from the structure of his skull, to the shape of his vocal cords and lungs and even a mouth operation that forever changed his speech. 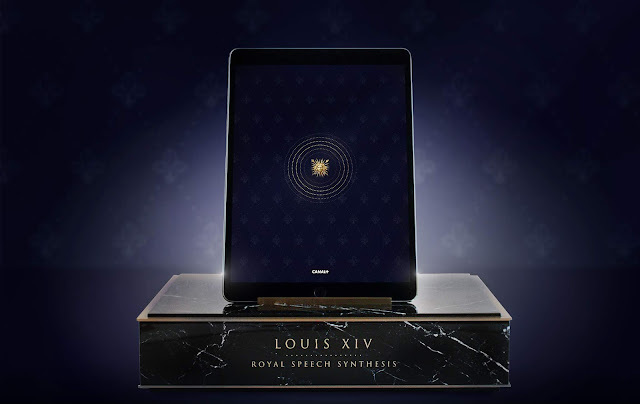 The data was then ran through a voice simulation program and synthetic speech experts were able to recreate the voice of Louis the Fourteenth. This synthetic voice combined with Google’s artificial intelligence allowed the king to be resurrected from the dead and enabled him to converse with the world today.